The Latest Vatican Line: Homer Simpson Is Catholic! 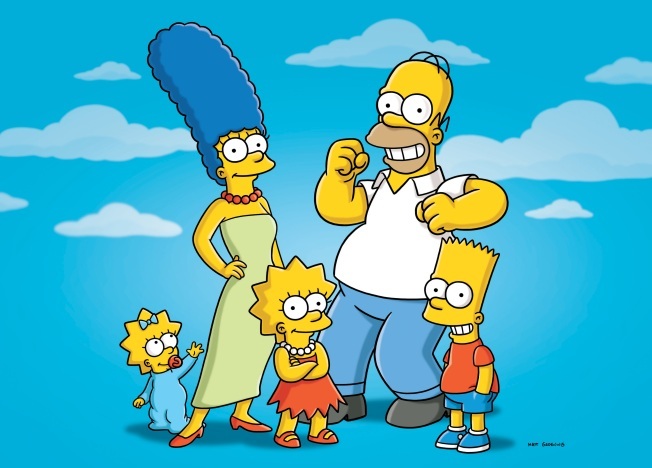 In this undated publicity photo released by Fox, characters from the animated series, "The Simpsons," from left, Maggie, Marge, Lisa, Homer and Bart, are shown. The Vatican newspaper has declared that Homer Simpson is part of the pope's flock — a claim that leaves "The Simpsons" TV producer baffled. "Few people know it and he does everything to hide it but it is true: Homer J. Simpson is Catholic," L'Osservatore Romano wrote in its weekend edition under the headline: "Homer and Bart are Catholic." Last December, the newspaper praised the show on its 20th anniversary for its philosophical leanings and irreverent take on religion. The weekend story was the latest example of the Vatican paper's efforts to be more relevant in the last few years, and follows stories not only lauding Harry Potter but even praising the Beatles and waxing philosophical about John Lennon's boast that the British band was more popular than Jesus. The paper quoted an analysis by a Jesuit priest, the Rev. Francesco Occhetta, discussing Homer's and his son Bart's conversion in a 2005 episode after meetingwith a sympathetic priest, Father Sean, voiced by actor Liam Neeson. L'Osservatore says the analysis shows that behind the TV program's jokes are themes "linked to the sense and quality of life." "'The Simpsons' remain among the few programs for children in which the Christian faith, religion and the question of God are recurring themes," it said. "The family recites prayers together before meals and, in its own way, believes in heaven." While noting that "The Simpsons" often takes jabs at religious figures, it said parents should not be afraid to let their children watch "the adventures of the little guys in yellow." But the show's producer told Entertainment Weekly the Vatican may have gone a step too far in its analysis of the satire, noting that Homer and Bart only consider converting in the 2005 episode. "My first reaction is shock and awe, and I guess it makes up for me not going to church for 20 years," EW.com quoted executive producer Al Jean as saying. Jean noted that the Simpson family attends the First Church of Springfield "which is decidedly Presbylutheran." "We've pretty clearly shown that Homer is not Catholic," he told the entertainment website. "I really don't think he could go without eating meat on Fridays for even an hour." But L'Osservatore would seem to take that in stride, too. "Skeptical realism seems to prevail in the Simpson stories," it wrote. "Young generations of television watchers are educated to not let themselves be fooled. The moral? None. But one knows that a world without easy illusions is a more human world and, perhaps, more Christian."